We’ve talked about how simple it is to find something happening to do in DC and Chevy Chase near 5333. While there’s plenty to do in the neighborhood, you can also find fun and entertainment right at home. There’s nothing like hosting a gathering for good times, great food, and warm company! At 5333 Connecticut, it’s super fun and easy to host a party. Having a theme can help simplify your planning by giving direction to all the decorations, food, and handouts. For instance, if you’re throwing a 1950’s party, have guests dress up in sock-hop attire, serve milkshakes and burgers, and show Grease (even though that was a 70’s movie!). If your gathering is intimate enough, you may prefer to meet in your own pad. This provides you with privacy, and enough time to go through all the activities and eating that you like. Our floor plans are spacious and have a number of kitchen features that make preparation and hosting a breeze. Alternatively, you may want to check out our state-of-the-art community room featuring a lovely bar, seating and dining, and areas for lounging. There’s also an indoor recreation space with billiards and other activities. Lastly, if you all need a breath of fresh air, take a trip to the rooftop for some fresh air, swimming, night star gazing, and fireplace chats. As the date nears, you’ll want to shop and stock up on materials, supplies, and decor for your party. One of the great things about living at 5333 Connecticut Ave is that you never have to travel far for great shopping and retail establishments. The neighborhood is full of markets, small shops for decor and invitations, dessert shops, and more! By simply visiting some of these local businesses, you’re sure to receive inspiration for your party and future parties. That’s it! Once you see how easy it is to host a gathering for friends and family, the more you’ll want to do it. You might be saving time, money, and avoiding the stress of trying to plan your fun times at a restaurant or other type of establishment. 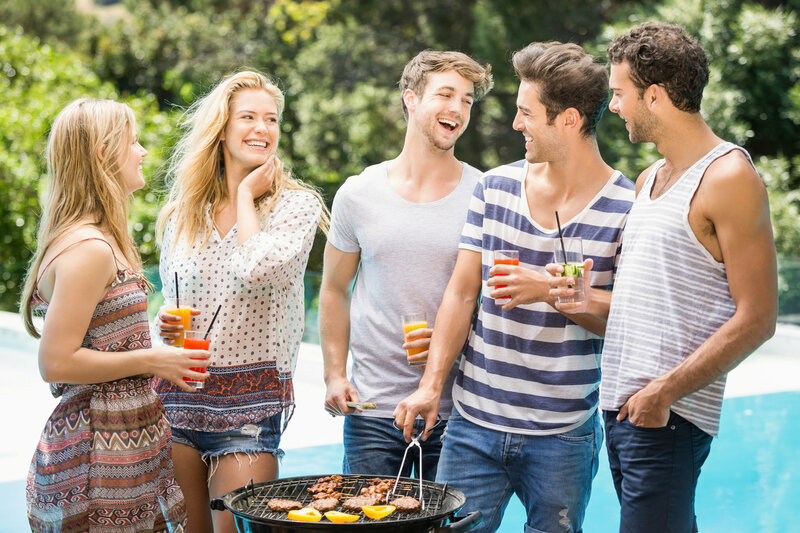 Throw a great bash and you won’t just be the talk of the party—people will be talking about your parties! There’s always a reason to throw a party at 5333 Connecticut Ave. Are you interested in luxury living right in the heart of one of DC’s most renowned neighborhoods? Contact us today at 5333 Connecticut to learn more about floor plans, features, and amenities that will fit your needs and impress your guests.